Flip Out Mama: Going Back To School.. Is It Possible? The following post is brought to you by your friends at Walden.edu. Sometimes I wonder if it really will ever be possible for me to go back to school.. I am really not so sure. Between blogging and housework, being a mommy during the day, and working at night, It really just seems like there is never enough time to fit in the things I already have on my plate. How would I ever juggle something else? I would definitely have to go about it in a more non-traditional way, that is for sure. I recently came across this site: WaldenU.edu, I was surprised to learn that Walden University is an all-online college for people just like me! I love that I could do it all from home, while blogging, doing housework and taking care of the kids! 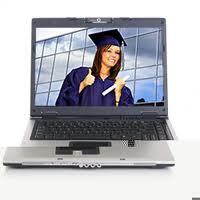 Walden University's Online Degree Programs include everything from Forensic Psychology to Child Development. They even have PHD programs! While I am not sure that this will ever be a viable option for me, it sure does give me something to think about! If you would like to learn about Walden and what it has to offer, check them out today!